Which Pillow for Shoulder Pain Is Worth to Buy in 2019? What to Consider When Searching for the Best Pillow for Shoulder Pain? There are many pillow brands in the store that cater to the problem of shoulder pain. This makes it hard to decide on a brand that is great for your needs. Contained below are some criteria you should look out for when selecting a pillow for shoulder pain. Compatibility with your sleeping position: One of the foremost considerations when trying to buy a pillow for shoulder pain is to choose a pillow that is compatible with your sleeping position. Always get a side sleeper pillow: while you might not be a side sleeper, it is imperative that you pick a pillow that is designed for side sleepers. The reason is that most of these pillows are designed to alleviate pressure and reduce soreness. Consider the thickness of the pillow: when it comes to protecting your shoulders, it is important that you select a pillow that is thick. When you fail to get a thick pillow, there is no way your shoulders will be adequately protected. The thickness of the pillow is required to ensure alignment and adequate support for the head and neck. Pick a comfy material: when it comes to selecting a pillow for shoulder pain, it is best that you pick a comfy material that will deliver adequate support to the neck and shoulders. In this regard, Latex pillows come highly recommended. Laundry convenience: No one wants a stinking pillow. It is best that you choose a pillow that can be washed conveniently without any hassle. Also, it is expected that the material is such that is not undermined by the washing process. How Sleeping Position May Influence in Reducing Shoulder Pain? Shoulder aches and soreness can be a very unpleasant experience that could worsen if left unattended. The first line of action is to find the root cause of the problem, after which the right kind of therapy or measures should be taken. Interestingly, pillows for shoulder pain offer the best solution to this challenge. These pillows can improve your sleep experience dramatically. Contained below are some of the many ways in which a pillow for shoulder pain will improve your quality of life significantly. Combats insomnia: Insomnia could emerge as a result psychological or physiological reasons. If you are experiencing difficulties sleeping because of aches and pains from pressure, pillow for shoulder will benefit you immensely. It is economical: While most people rely on expensive medications and visits to the spa in the bid to have a pleasurable sleep, having a pillow for shoulder pain might just do the trick. It may alleviate complications with the spinal cord: Your sleeping position can have an undesirable effect on your neck, back, and shoulders. However, the most effective line of action would be to get a pillow for shoulder pain to mitigate the aches. It may also restore complications with spinal alignment issues. Mitigates nerve tension from strenuous activities: This pillow is known to lower nerve tension that stems from strenuous activities. Reduces the need for sleeping and pain pills: both sleep and pain pills can be addictive especially when used on a long-term basis. It is worth mentioning that pillow for shoulder pain could provide a lasting solution to both issues. Eliminates the need for wrapping your head and shoulders: The severity of pain and aches caused by sleeping position can be debilitating. While the use of wraps could be helpful, the process of creating these wraps is often complicated and may even execrate existing conditions if not done properly. On the other hand, head pillows for shoulder pain are designed to deliver maximum comfort and can be used easily. 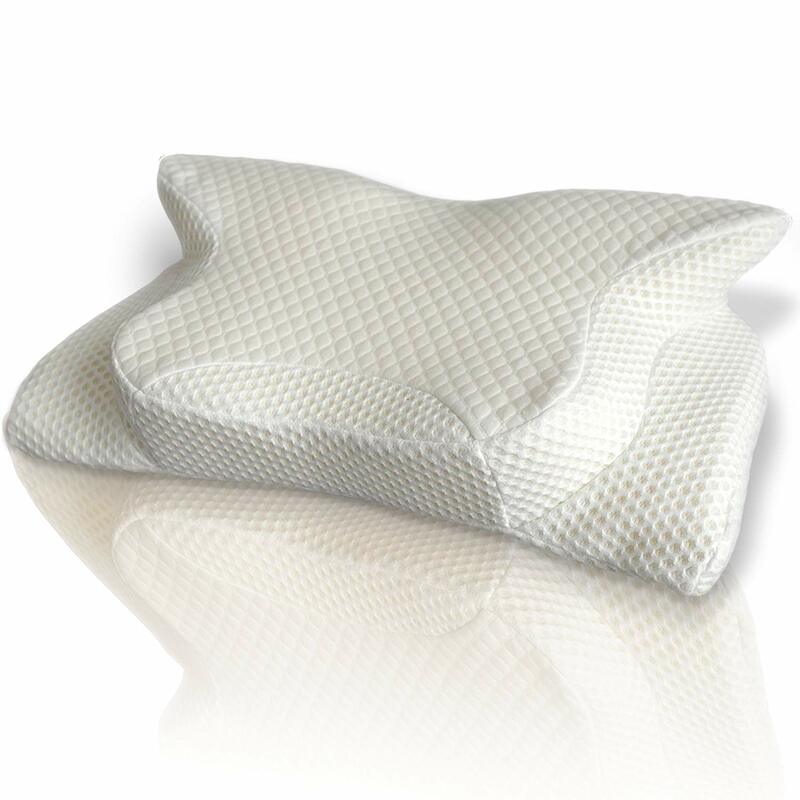 This innovative pillow is created by AngQi and seeks to offer full support to the entire body frame. This pillow is created with the specific intent of giving the entire body the required support for restful sleep. With the expert involvement of physiotherapists, this pillow is such that prevents the ensure body from pains and soreness. This pillow can be pounded into the desired shape of the user. This pillow comes in a U-shape that aligns with the outline of your frame for heightened comfort. This pillow is guaranteed to offer a pleasurable rest. AngQi 55ibch is tailored to offer maximum comfort for your head neck and hips while reducing the risk of compilations associated with bad sleeping positions. This multipurpose pillow provides comfort while engaging in many other activities. Ultimately, these people make your life a lot easier. It comes with 55in dimension and U-gray color. This pillow offers complete polyester on the insider with a jersey knit cotton for its external covering. The outside material is made from pure cotton, and it is designed for convenient laundry. It is a long-lasting product and offers a 30-day money back or exchange policy. There is that seemingly irresistible allure about downy pillows. Many are drawn to the fact that it is very soft and cozy. However, downy pillows are not suitable when looking for pillows for shoulder pain. The reason for this is that it constantly requires fluffing and does not have the firmness required for adequate support. On the other hand, a shredded foam is well-suited to provide support. However, it may also pose a challenge by being too heavy. The Snuggle-Pedic is a pillow that combines topnotch eco-friendly memory foam that is unlikely to cause any form of allergic reactions with Certi-Pus American foam. This creates an unbelievable level of coziness that is durable that other pillow materials on the shelf. This product is user-friendly as it doesn't use formaldehyde, mercury, lead, or any other dangerous substances that could undermine the health of users. With a very minimal amount of VOC, this pillow is well-suited for use within the inside environment. 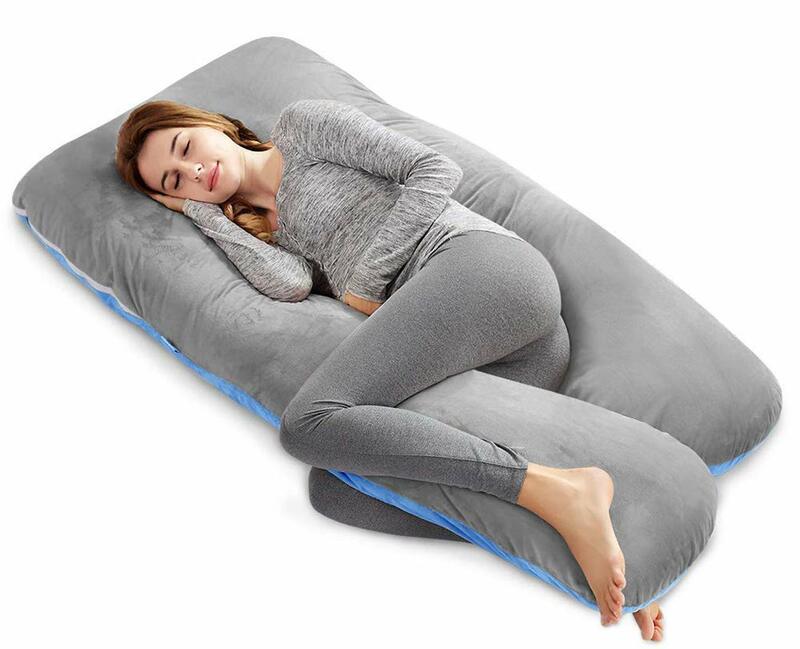 This product comes in an orthopedically design that gives the required firmness to the body especially for sleepers and those that lay on their belly. This foam is a blend of a variety of materials, and it is known to retain its shape. This product is breathable and comes with tiny holes that provide sufficient comfort for the user throughout the night. 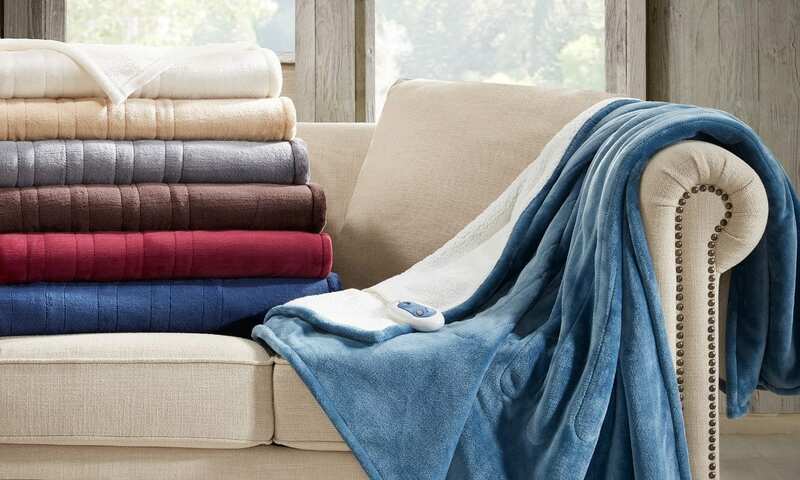 This product comes in a 20 by 54in dimension and allows for easy laundry. This American manufactured product offers a 43% viscose of bamboo, 56.4% polyester, and 6% lycra. This product does not trigger any form of allergic reaction, and it does not encourage mites. This product is environmentally friendly and comes with a 120-night payback policy and a two-decade warranty. This pillow is quite light and can be carried about conveniently. This product has a reputation for gradually repair neck curves. This product offers a soothing night rest, and it is convenient to use. This product comes with an efficient design that delivers maximum coziness. Once you begin to use this pillow with the cervical traction grip, it is expected that there will be a tremendous improvement in the posture and feeling of the neck. It will soothe the nerves while restoring the neck to a healthy state. 1. Place the neck grip lock on a flat surface with the hold facing upwards. 3. This hold must be kept in a perpendicular style that leans in the direction of the shoulder while being tilted to the side and in alignment with your head. 4. Spend about 15 minutes daily with your head and neck is placed in this wedge and continually increase the amount of time spent. The product offers premium grade 100% bamboo covering that can be taken out for laundry. It doesn't contain any harmful substance, and it does not trigger any respiratory skin reactions from users. Created from a flexible material, this product does not retain an unpleasant smell. The body will feel refreshed and rejuvenated after a good night's rest. The integration of innovative coziness and soothing organic therapy makes this pillow one of the best options for the pillow for shoulder pain. 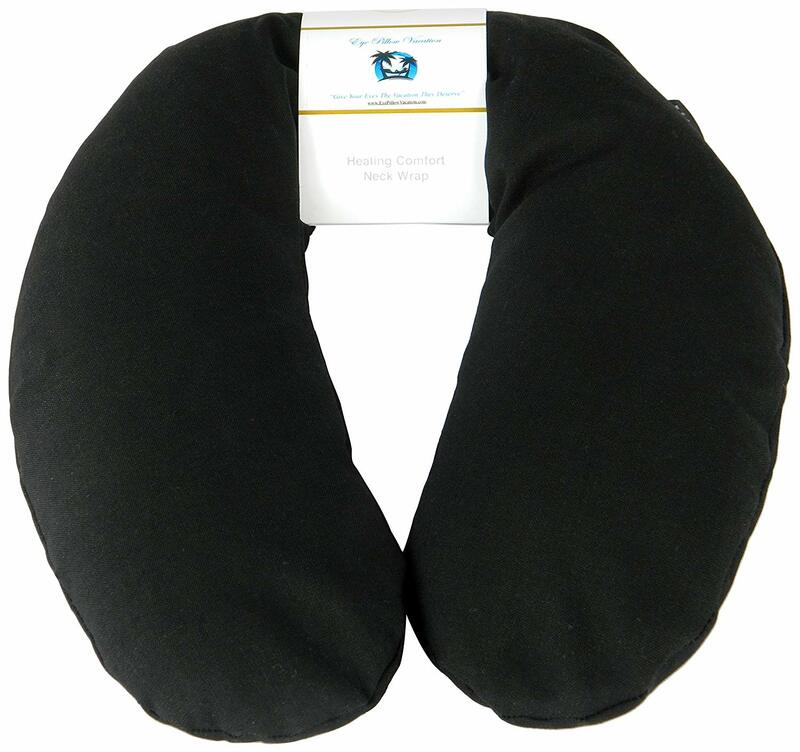 This pillow offers a heated neck covering that is made to offer superfast relief of shoulder and neck aches. Once your pillow is heated, you can be sure that it will soothe the body in a way that eliminates any aches. You can always explore the cooling and heating effect with this pillow as it is designed to be heated and cooled. Irrespective of the severity of the nerve strains and discomfort, you can count on this pillow to lessen the aches and alleviate the aches. The most preferred approach for aches will be the cool option. However, the pillow should be left in the freezer for a period that ranges from one to two hours for heightened potency. This pillow is fortified with flax seed and a variety of organic material for significant relief from unease and nervous tension. This product is known to be a suitable and less expensive alternative to visiting the spa. The products come with a lifetime replacement guarantee and operate a full money back policy. This product is specifically tailored to meet the needs of individuals that suffer a severe backache. The hollow area of this pillow is designed to fit into your neck shape to offer relief from aches while encouraging superb respiration. The design is such that prevents the user from turning and moving about while asleep. The cutouts are designed to provide adequate comfort to your arms for a pleasurable night rest. 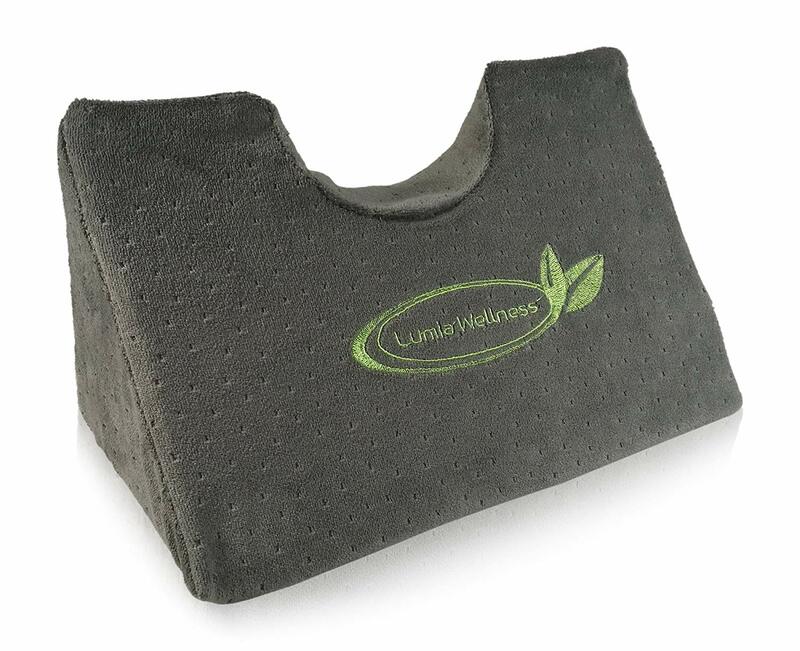 This pillow caters to the spinal cord and helps keep the alignment of the back in order. This pillow also ensures that your shoulders won't be sore. For those that wake up with aches after sleeping on the back, This pillow comes highly recommended. 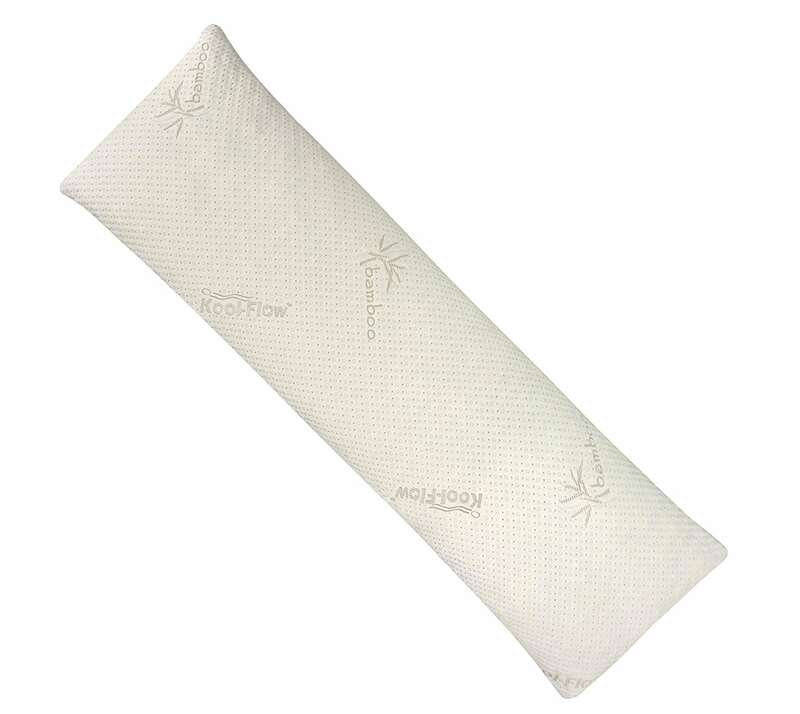 This pillow features a density level of sixty and a memory foam that offers average firmness. The memory foam is tailored to provide the balance that allows your neck to get adequate balance. This pillow does not trigger any sensitivity or reactions. It can be removed and washed which means that you can enjoy a fresh pillow anytime you desire. It doesn't support bacteria, mildew, and does not retain sweat. It does not encourage mites and provides an inside covering too. 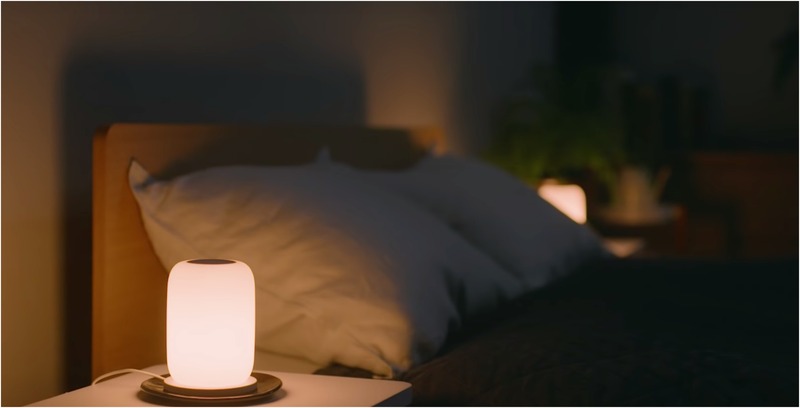 This pillow is designed to offer a comfy experience to elderly people and those with nerve and muscle conditions like arthritis. Does not offer any guarantee or the warrantee is not explicitly stated. Shoulder pain is becoming increasingly pervasive because many people are oblivious to how delicate the shoulder is. When the shoulder endures a lot of pressure, it is expected to become swollen and sore. Therefore, it is imperative that your shoulders are not strained excessively. Interestingly, one of the ways in which the muscles of the shoulders are strained is during the nighttime. Side sleepers are bound to suffer from shoulder pain from time to time. Shoulder pain is often characterized by an unsavory feeling of tightness in the shoulder region and is accompanied by aches. Often times, the severity of this condition is determined by the nature of the sleeping posture and the individual's weight. Ultimately, the use of a pillow for shoulder pain is imperative for side sleepers to avoid this complication. It is only logical to assume that sleeping face front is the best alternative to avoid this problem. However, this does not alleviate pressure to the shoulders. The reality is that is that sleeping on your front has the potential to create an imbalance that puts the shoulders in an awkward position. However, the position that does not jeopardize the shoulders is when you sleep facing up. Often times, only one shoulder is strained or sore after a night's sleep. Individuals that find it uncomfortable to sleep in a face-up position can always sleep on the side of the shoulder that is unaffected. The use of a pillow for shoulder pain is also advisable. One of the key aspects of sleeping without causing injury to the shoulders is to give the head adequate support. However, it is worth mentioning that the pillow doesn't give too much elevation as this would create an opposite effect. When it comes to preventing soreness of the shoulder muscles, it is advisable that you get a body pillow to create the required balance to alleviate pain. One of the best ways to avoid the unsavory discomfort of shoulder pain is to discover a sleeping posture that is well-suited to you. What this means is that you should endeavor to check a variety of positions every night to find the one that would be best for you. While most people engage in the process involuntarily, you may have to pay attention in order to get the right sleeping position. If you are wondering why people can't stick to a particular sleeping position, the reason is that the body will get fatigued from sleeping with one position for too long.